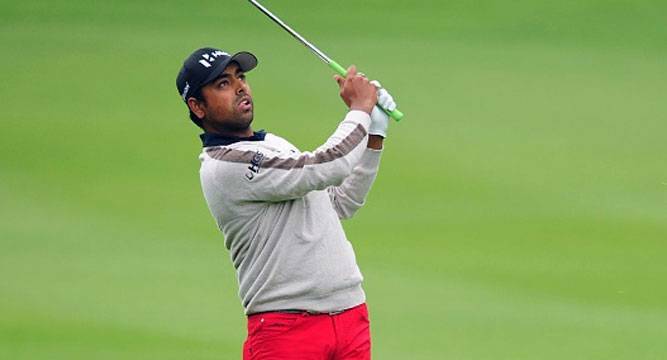 Indian golfer Anirban Lahiri got off to a flying start on his tournament-debut, firing eight birdies in a blemish-free opening round to grab a share of the lead at the PGA Tour’s Career Builder Challenge in partnership with Clinton Foundation here. “I’m really happy with the way I started today. I was a bit unsure of how I was going to go today. Obviously still feeling all the travel from coming from Asia last week. But really happy with the way I hit the ball. I don’t think I missed a green all day. I felt really good out there,” said the World No. 41. “This is a good golf course. I think that I like the way this particular golf course sets up. You’ve got to put it in play off the tee and then you have a lot of opportunities. So, I think it’s good, it’s good for people to come out and watch, because you see a lot of birdies,” he added. Playing his first event on PGA Tour since the Hero World Challenge in Bahamas, Lahiri speaking of his off-season, added, “Well, I got a lot of rest, to start. I was playing three different tours last year and I was absolutely ragged by the end of the year.